Valeria's marzipan biscuit recipe is scented with clementine for some citrusy flair. These are the perfect snack to top off an Italian feast, served with a cup of espresso. 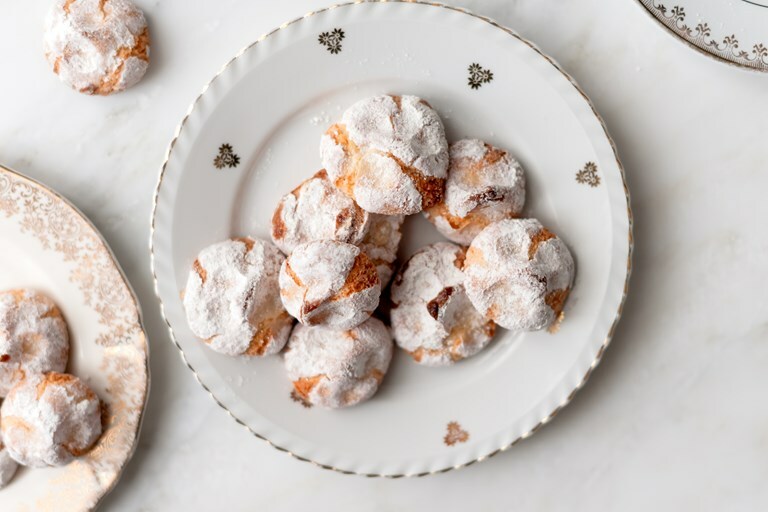 These chewy, dense, almond-rich biscuits are scented with fresh clementine zest, which gives them brightness and a lovely fresh note. They are perfect served at the end of a meal, with coffee or sweet wine, or as an accompaniment to afternoon tea.